You will need to set up your computer to prepare for configuring the React App Builder. You will need Node + NPM to build the phone apps, GIT for version control, and Expo for development testing. Install Expo: Follow instructions for the local development tool and mobile client. Log in with your AppBuilder account. 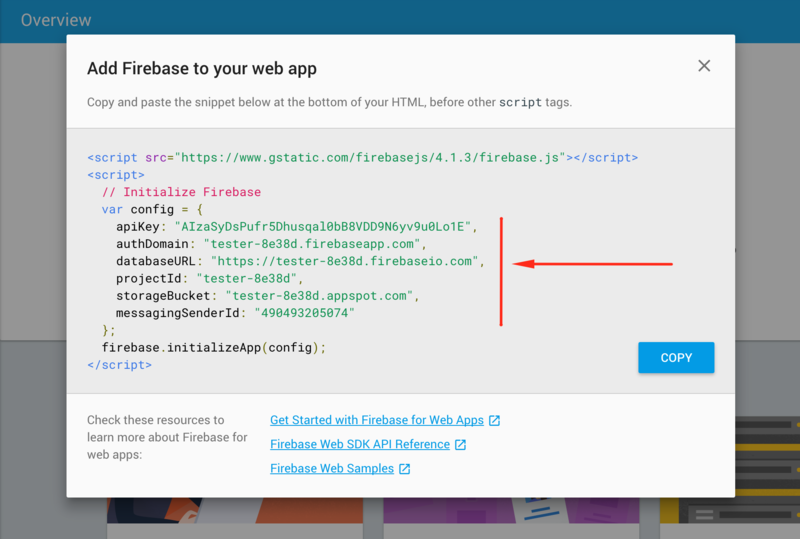 In Firebase, go in Project settings, and click on "Add Firebase to your web app"
Then in your Builder, in src/config/ folder there is "firebase_config.js" file. Replace the config value there, with your value. Copy the file "firebase_config.js" and paste it in SaaS Landing Page /app-builder-landing/src/config. Paste the same "firebase_config.js" file in Mobile app folder. Paste the same "firebase_config.js" file in Cloud Functions/functions folder. Open the Build folder in the terminal or command line. 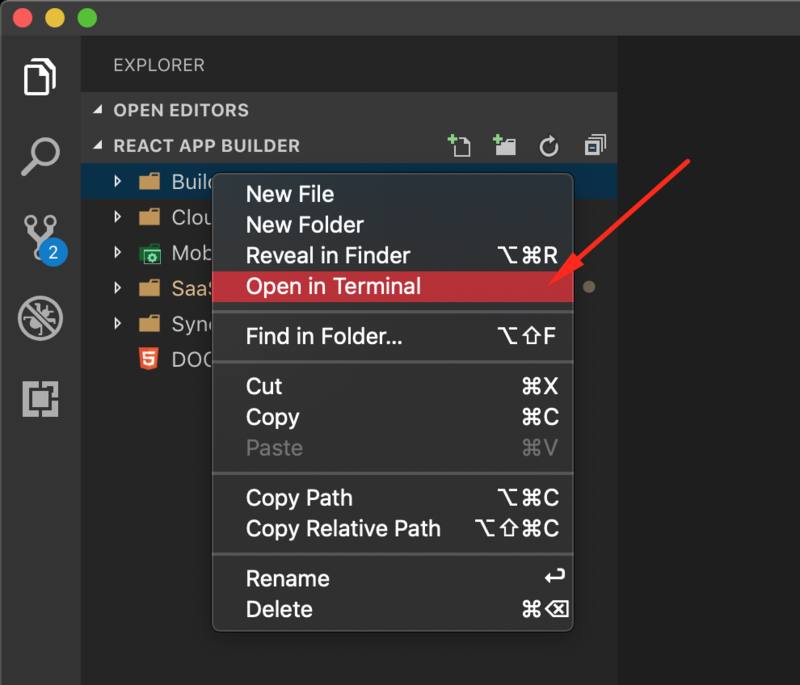 Or, you can also open the folder in the Visual Studio Code. They have a integrated terminal. After running this command in your browser you should see a newly opened window looking like the one in the picture below. If something goes wrong. Pls, check out our Common Problems page. If this is not answered there, send us a ticket. Include the log output from the terminal. In Builder/src/config/app.js around line 18, you will find adminUsers array. It should be empty. Add the email you registered in Firebase. In Builder/src/config/app.js around line 317 (bottom), you will find buildAccountUsername and buildAccountPassword variables. Change the values with the build account you have created in this step. And after a successful login, you should see this screen. Follow this additional step, to enable the Google MAPS widget in your Mobile App Builder. Then continue with the next steps.